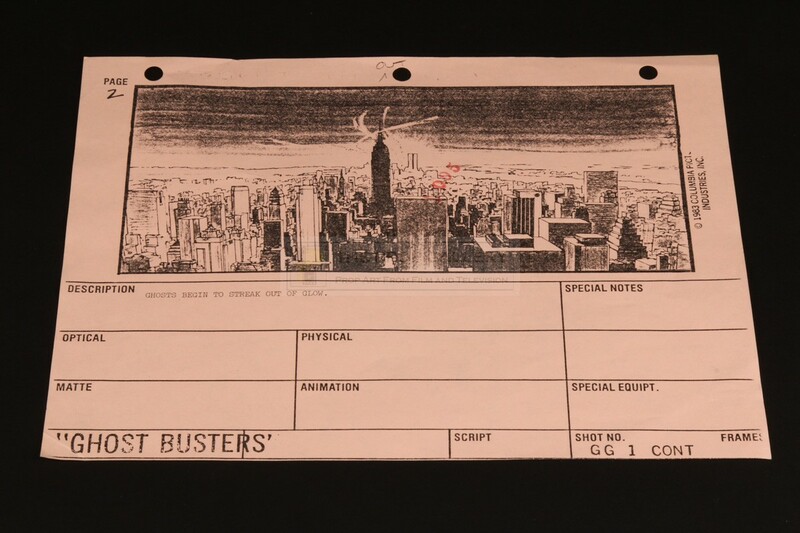 An original storyboard used in the production of Ghostbusters, the 1984 science fiction comedy starring Bill Murray and Dan Aykroyd under the direction of Ivan Reitman. 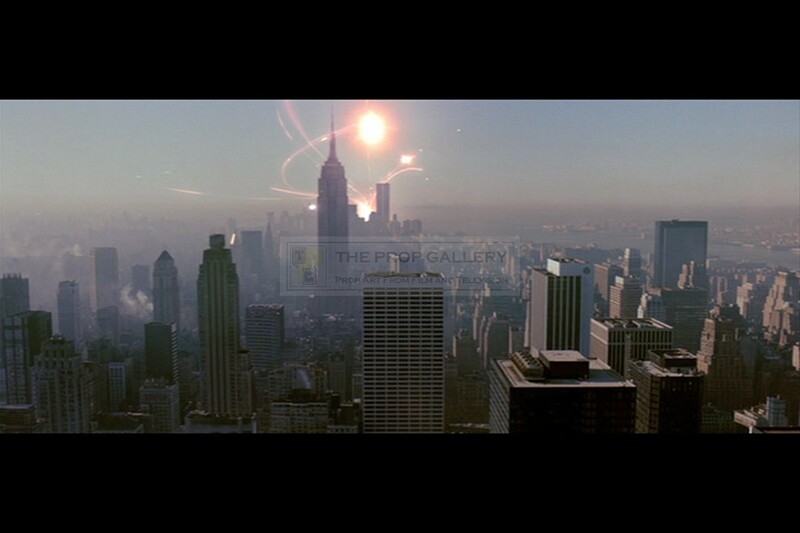 This storyboard was utilised during the production by Entertainment Effects Group during the production of the visual effects work. The storyboard printed on pink paper is dated September 23 1983 and depicts a frame from the sequence where the ghosts are released in to the city with a description of the action below. 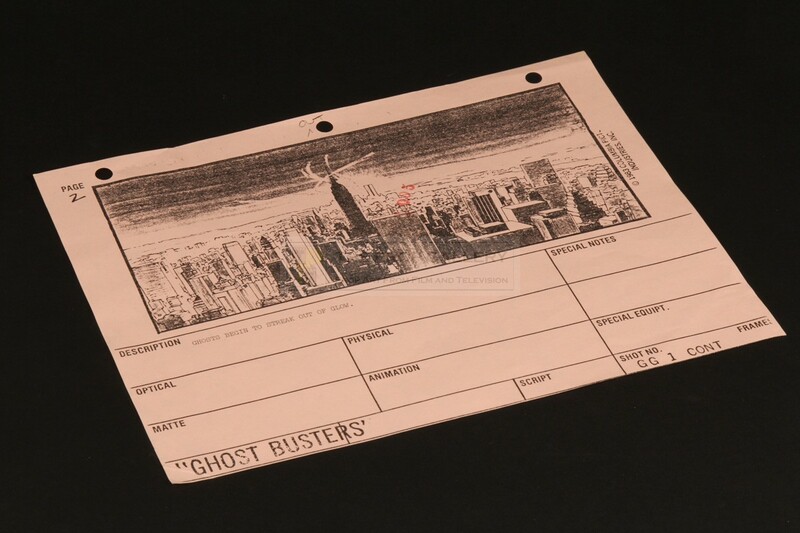 The storyboard measures approximately 11" x 8.5" and remains in excellent production used condition. A fine example of original production material from this highly regarded box office smash.